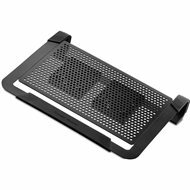 Lightweight aluminum construction of the cooling pad Cooler Master NotePal U3 PLUS is made from high quality aluminum materials that create a cool surface for your notebook, while holes in it allow the natural flow of air. NotePal U3 PLUS comes with three adjustable 80mm fans with speed control. 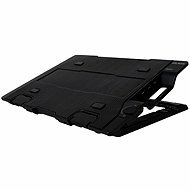 NotePal is lifted on one side the far side to ensure a comfortable typing experience at a right angle.It also has two integrated rubber edges that keep your laptop in place. At the same time the NotePal U3 Plus has an area to safely stow your mouse and adapter cable. NotePal U3 PLUS you can even easily turn it into a notebook bag connecting the included straps. 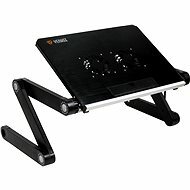 It is compatible with all notebooks up to 19 inches. 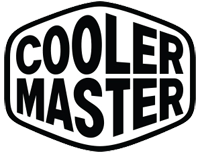 For shipping to other EU countries visit this page Cooler Master NotePal U3 PLUS Black. 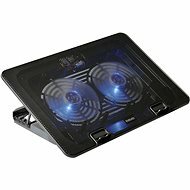 Für Versand nach Deutschland, besuchen Sie bitte Cooler Master NotePal U3 PLUS Schwarz. Chcete doručit zboží do Česka? Prohlédněte si Cooler Master NotePal U3 PLUS černá. Chcete doručiť tovar na Slovensko? 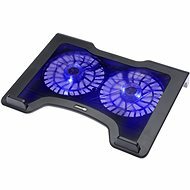 Prezrite si Cooler Master NotePal U3 PLUS čierna. 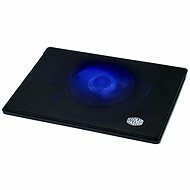 Für Versand nach Österreich, besuchen Sie bitte Cooler Master NotePal U3 PLUS Schwarz. Magyarországra történő kiszállításért tekintse meg ezt a termékoldalt: Cooler Master NotePal U3 PLUS laptop hűtő fekete.